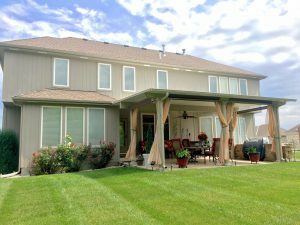 SRA Home Products installs patio covers at homes throughout the Springfield, Pennsylvania, area. We’re proud to exclusively install patio covers manufactured by industry leader TEMO, a company that has worked with more than 100,000 customers across the nation since being founded in 1967. Like all of TEMO’s outdoor living products, their patio covers are constructed using heavy-duty, fully extruded aluminum and feature a resilient TEMKOR polymer coating. Style — In addition to our standard pavilion model, our patio covers are available in multiple other styles. The sunlight pavilion is characterized by its polycarbonate roof, which offers protection from the elements while still letting natural light pass through. 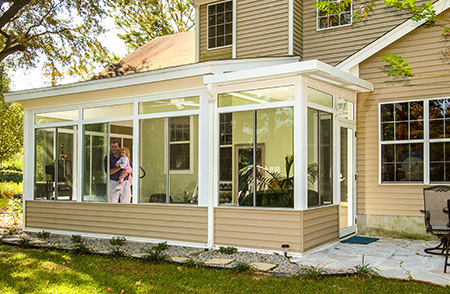 And, our St. Thomas and Santa Fe models feature curtain walls that allow for optional retractable screens (the Santa Fe also comes with stylish pergola trim). Color — Our patio covers come in white and sandstone, allowing you to pick an option that will complement the color scheme of your home. Column style — You can select among various column styles for your new patio cover. Our Florentine and Venetian styles both include a double-header beam, with the Florentine featuring a grooved square design and the Venetian featuring a curved, fluted shape. 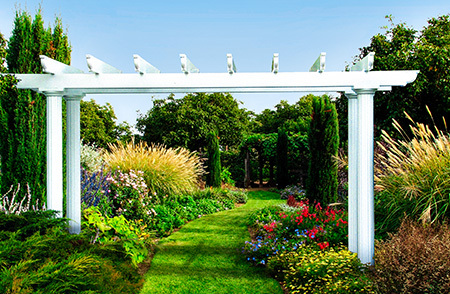 Our Roma style, on the other hand, features a single-header beam and square posts. If you’re in the Springfield, PA, area and you would like to learn more about our customizable patio covers, please contact SRA Home Products today. We’ve been serving this area since 1988 and we look forward to helping you design the perfect patio cover for your home.